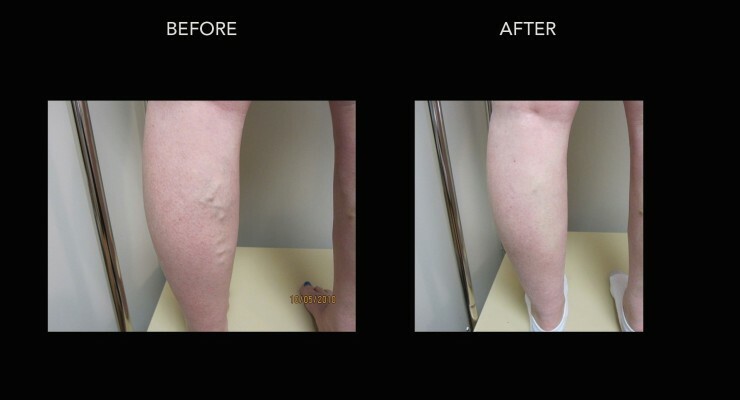 Sclerotherapy is proven to be safe, effective, and virtually painless for treating vein disease. 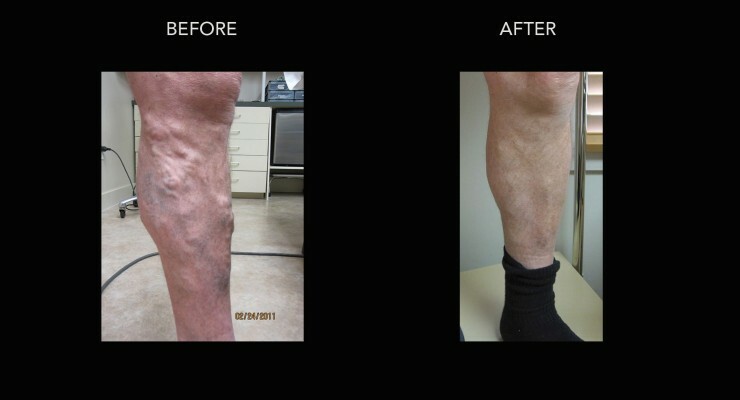 It has been used successfully to treat both types of veins for well over 75 years. 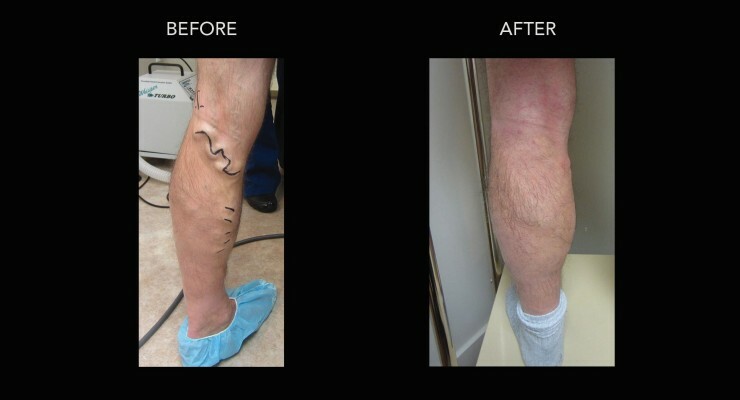 Sclerotherapy involves the injection of a medication called a sclerosing agent into the veins. 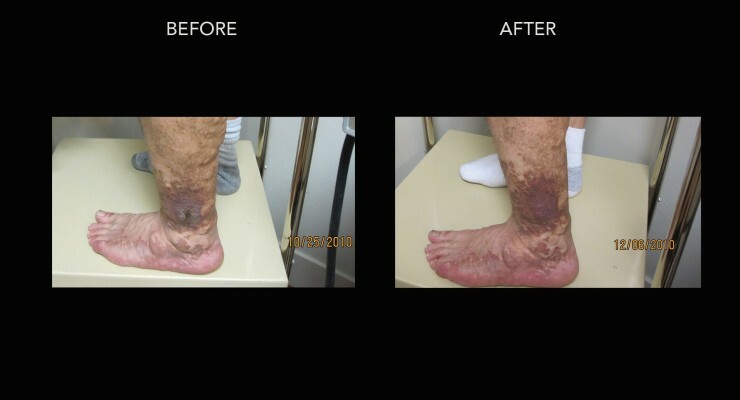 When a sclerosing agent is introduced into the veins it clings to the vein walls, irreversibly damaging the veins. 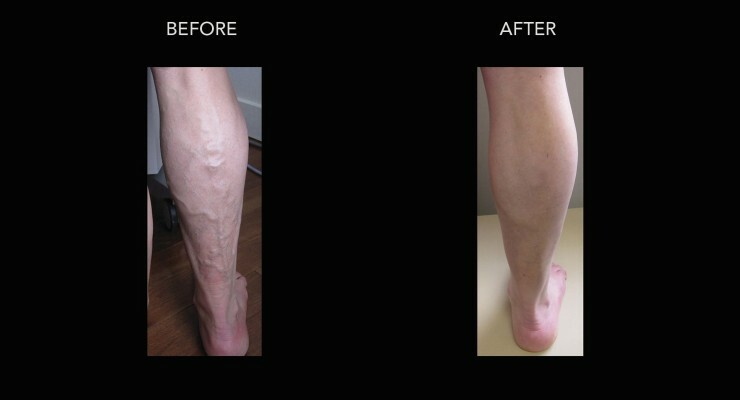 As a result the veins constrict and eventually close over a period of weeks to months. The body breaks the veins down and disposes of them naturally. 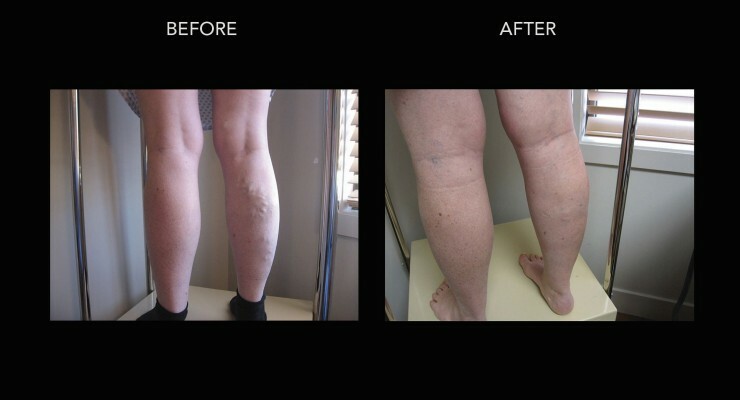 At the Kelowna Vein Clinic (DermMedica), the average Spider Vein treatment using Sclerotherapy is 10-15 minutes, and involves a quick injection of the sclerosing medication. 4-6 Weeks – After the initial appointment, patients can expect to return to their normal activities immediately, with the exception of excessive exercise on the day of the treatment. Patients are advised to walk immediately following the treatment for 30 minutes. It is imperative that patients continue to walk 30 minutes a day for the duration of the recovery time. 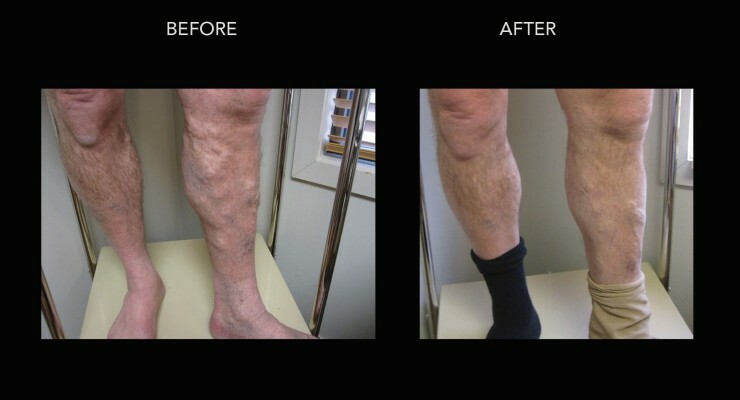 For the first week after the treatment, it is also recommended that patients wear a compression bandage or stocking. Stockings can be ordered for patients in advance of the treatment or can be purchased at any time after the procedure at a local pharmacy. Follow-up appointments are usually 1-2 weeks following treatment, however, this varies greatly for the particular situation and patient. 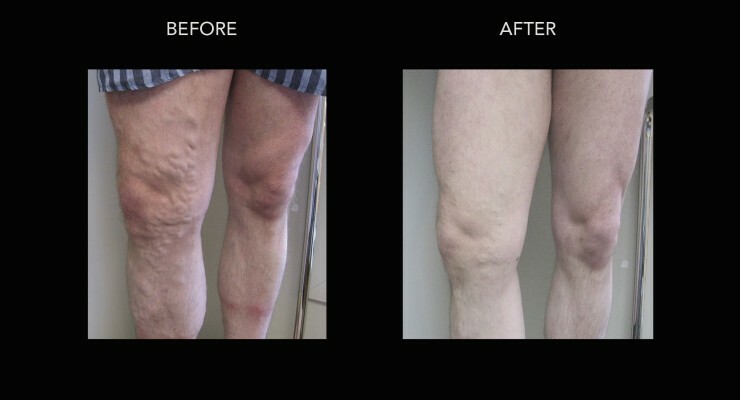 During the healing process patients can expect tenderness and darkening of the vein. 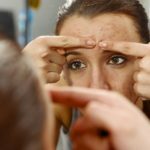 In some cases patients can experience mild irritation from the medication or even an allergic reaction. These more sever responses are significantly less common. 1 -2 treatments are recommended for maximum results. 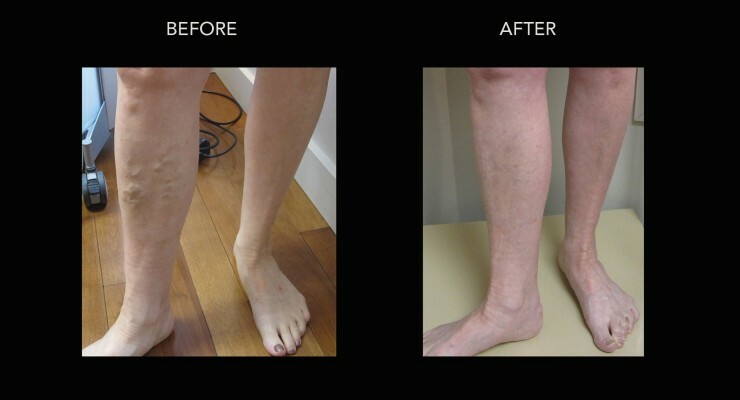 What does Sclerotherapy feel like? Is it painful? 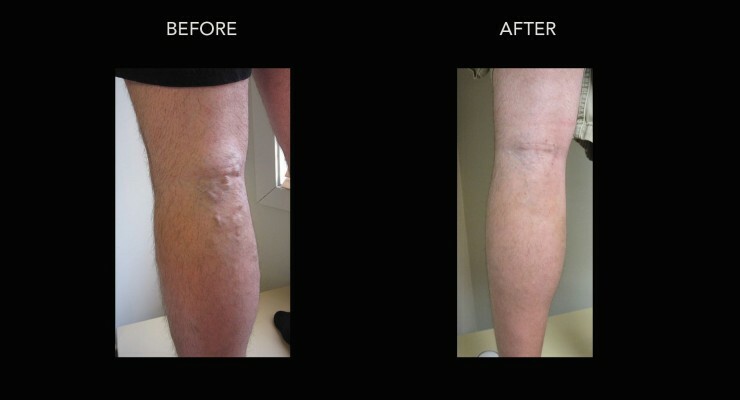 Sclerotherapy for varicose veins is a simple procedure that takes just minutes to complete. 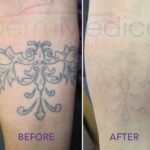 There are injections into the veins so you will feel a pinch with each injection but these are usually well tolerated by almost all of my patients. Some people are very sensitive but this is not the norm for this procedure. The medication we use for injection is painless when it enters the vein so there is no discomfort beyond the injection itself. You are back on your feet immediately with zero downtime. 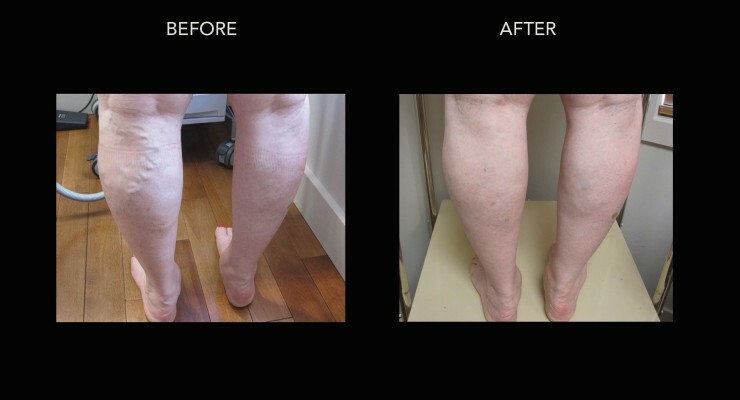 Does Sclerotherapy remove veins permanently? 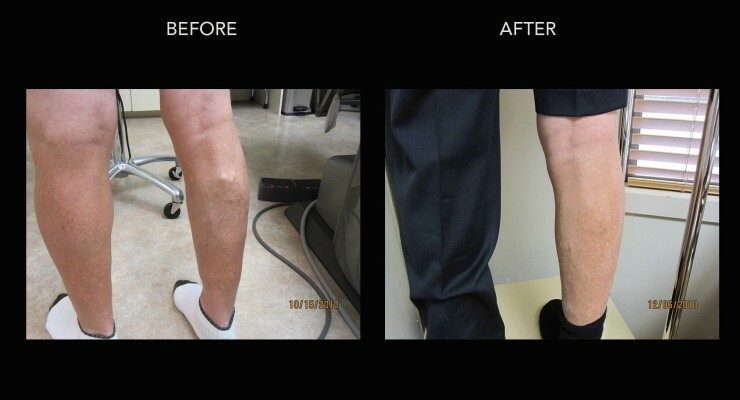 Veins that are treated by sclerotherapy are destroyed and absorbed back into the body by its natural waste removal processes. This may take a few weeks, during which you may feel some mild irritation. 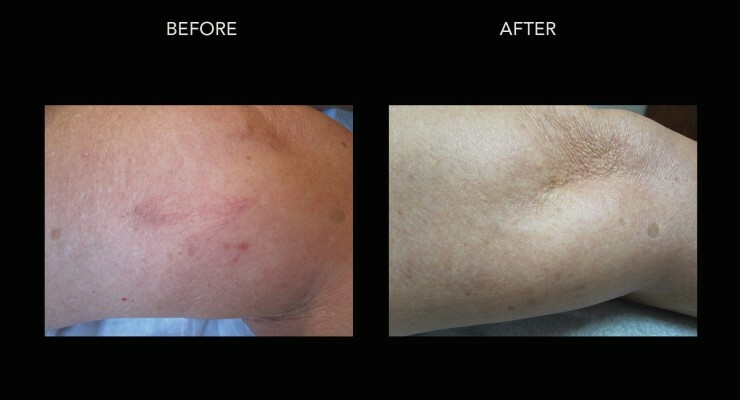 However, once the vein is no longer visible, it is gone permanently. 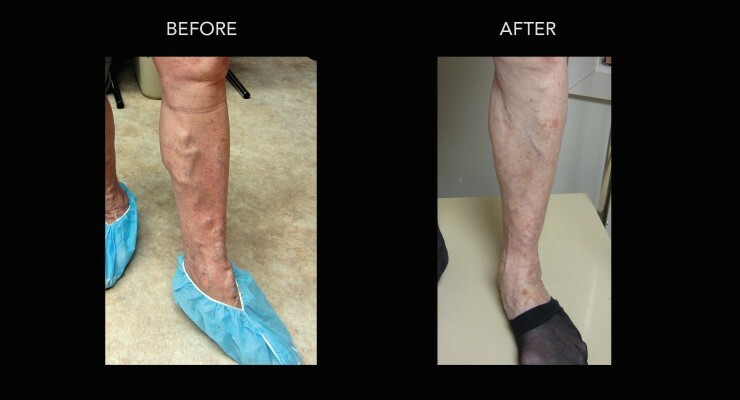 Does Sclerotherapy prevent the development of new veins? 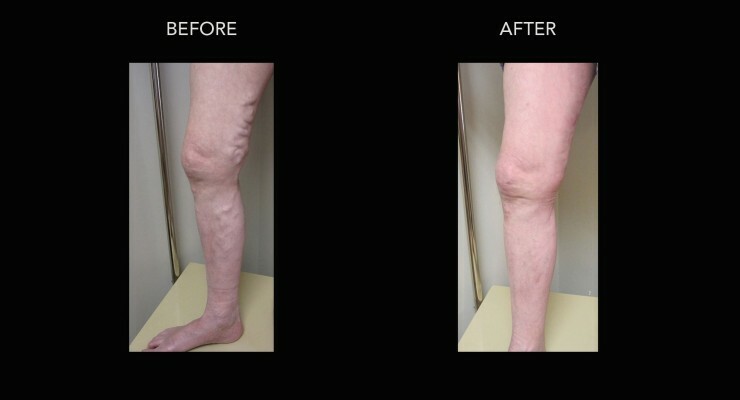 The treatment cannot prevent the development of new varicose veins. 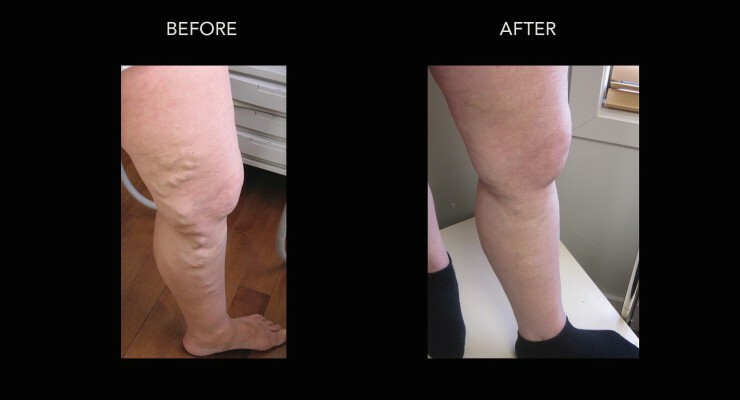 However, as part of the treatment and consultation, we’ll be able to recommend some strategies for preventing the development of new varicose or spider veins.